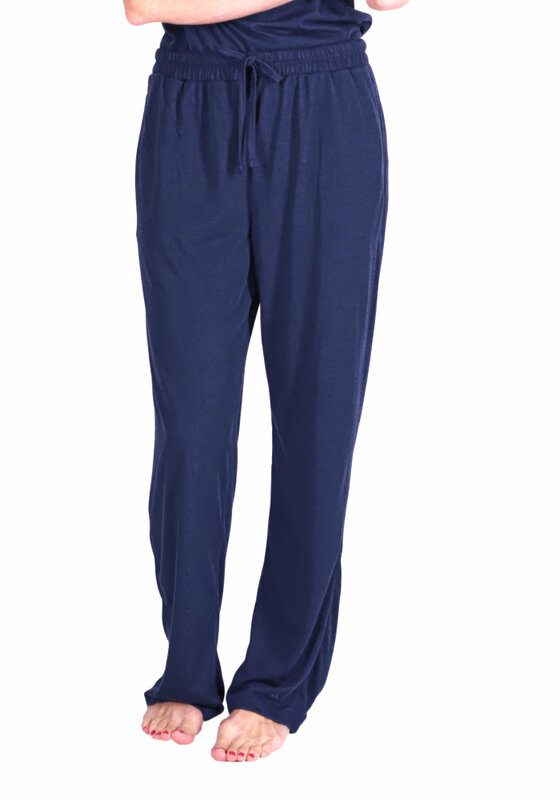 Style #T3420 Whether you're looking for a great travel pajama set or possibly a way to combat night sweats, this moisture wicking Women's 3 Piece Pajama Set from Cool-jams™ is a great addition to anyone's nighttime wardrobe. 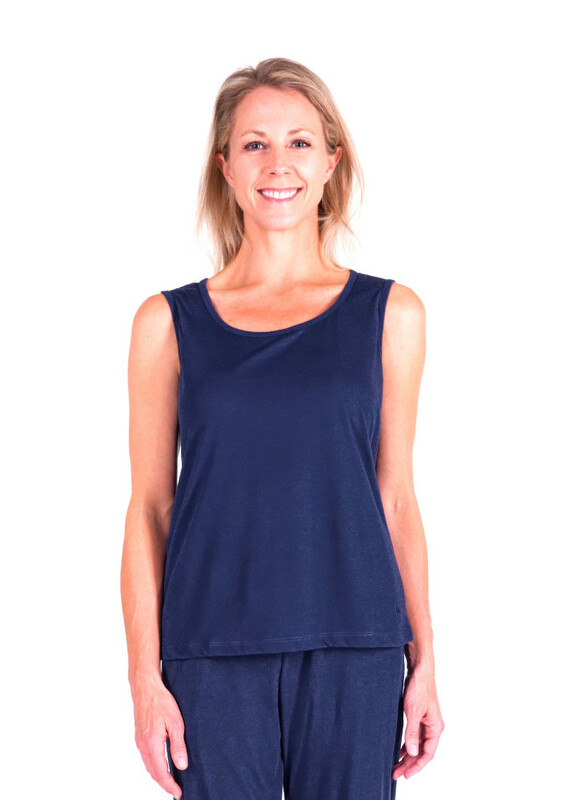 This women's sleepwear set comes with a long-sleeved button-down top, a comfy tank top and a pair of long drawstring pants to match. The pant also has a bit of elastic at the waist for added comfort. Because you can take off a layer when it gets too hot, this women's 3 piece pajama set will last you all year round. The moisture wicking secret to our women's 3 piece pajama set is that it is made of our quick drying Cool-jams™ performance fabric that has a soft, silky feel that's just as comfortable as regular cotton. 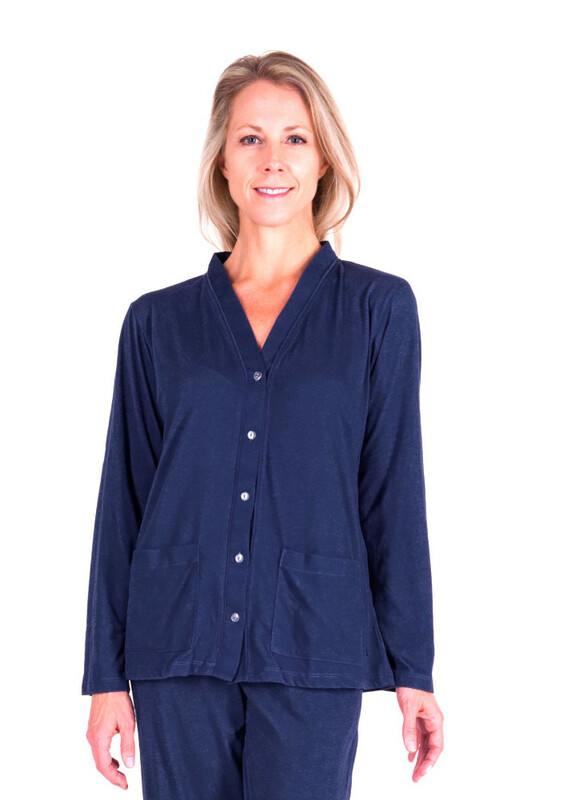 This women's sleepwear set is also very lightweight and even resistant to wrinkles, which makes this the perfect travel set to fold away in a suitcase before a trip. The most important measurements on the size chart are hip and bust. Pant inseam length 30". Note: Size 2X is only available in Navy. Women's 3 piece pajama set approximately 15 oz. 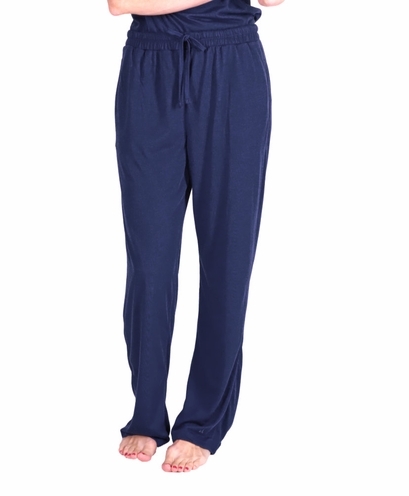 Wash your women's sleepwear set in cool or warm water on gentle cycle. Never use fabric softener or fabric softener sheets because it will minimize the wicking properties of the fabric. If you accidentally use fabric softeners, re-wash the women's 3 piece pajama set in clear water to remove softener residue, so the wicking properties will return to maximum effectiveness. Lay your women's sleepwear set flat or hang to dry. Tumble drying won't damage the tank top pajama set, but can sometimes create static. This is my favorite Cool-jams set. I take it on every one of my trips for the versatility. Not to mention, I can wash in the morning, hang to dry and it is ready to wear for bed. I have been looking for this type of set with 3 pieces. It is super soft and comfortable. Also great for travel. So cute on, I could probably where it out for breakfast. The temperature regulating aspect is good too because I can wear it in any climate when I travel. Just the tank and bottoms when it is warm and I add the button top when it is cooler...either with or without the tank.